I'm pretty excited to share this with you!! I tried last year to make nativity blocks. I didn't like how they turned out. They needed to be a little wider to fill out the space. So this year I sketched several versions and finally made these cute little "round" nativity people. 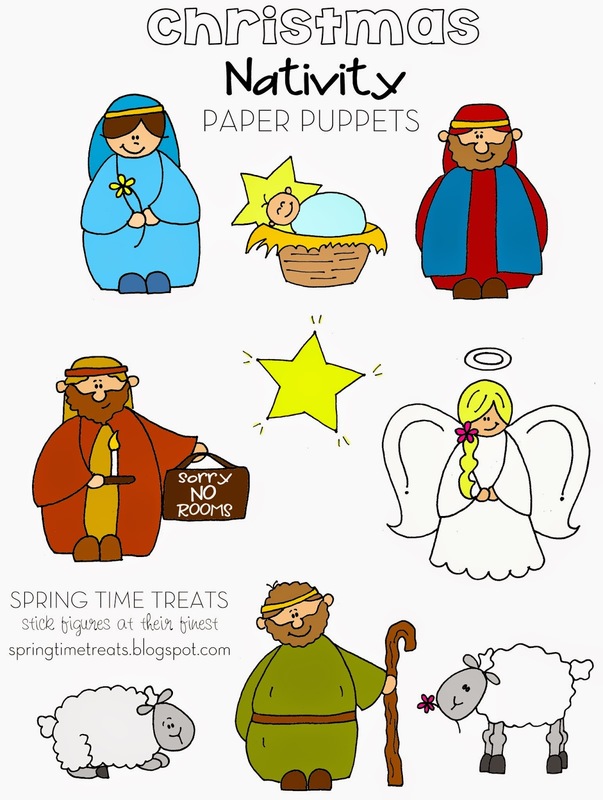 In the meantime here are your free paper puppets printable! I have become known as the "Don't Eat Pete lady", and I can't think of a better thing to be known for. A wonderful gal Katie asked me if I had a Christmas version and I'm happy to have finally finished it. A couple things I love . 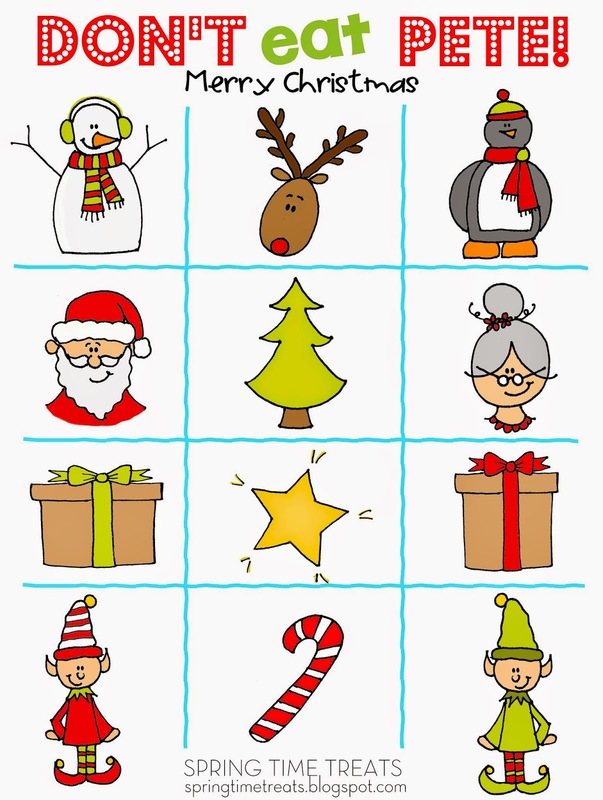 . . Mrs. Claus's glasses, took me several tries to figure it out. And I love my elves and snowman, and penguin. Okay, I love them all. This would make a great neighbor gift too. Print and laminate (if you want), tie with a bag of M&Ms or other candy. Done! I'm almost done with my nativity paper puppets. I am so excited to share them soon! I am often asked how I draw my pictures. Short version . . .
A regular custom detailed family portrait takes between 3-8+ hours. Usually one or two hours sketching and re-sketching. Then I scan the picture into my computer and start the editing process (about 1 to 2 hours) where I clean up the picture and add color. When complete I e-mail the picture/proof to my client and we discuss any changes they need. A simple color change only takes a few minutes but sometimes the changes require a couple more hours of redrawing and tweaking. Sometimes depending on the research I need to do for a picture it can take longer. Lego fever has hit my home, and my poor feet are trying to recover from stepping on them. Also the song from the movie is stuck in my head "Everything is awesome . . " Rad, now I'll be singing it all day. My kids always wanted to draw more than one, so I made multiple ones on one page. Today's cold-yucky-thank-you-Idaho weather turned into hours of coloring awesome lego men. They plan on cutting them out into paper puppets and taping to popsycle sticks. Let me retract that last statement . 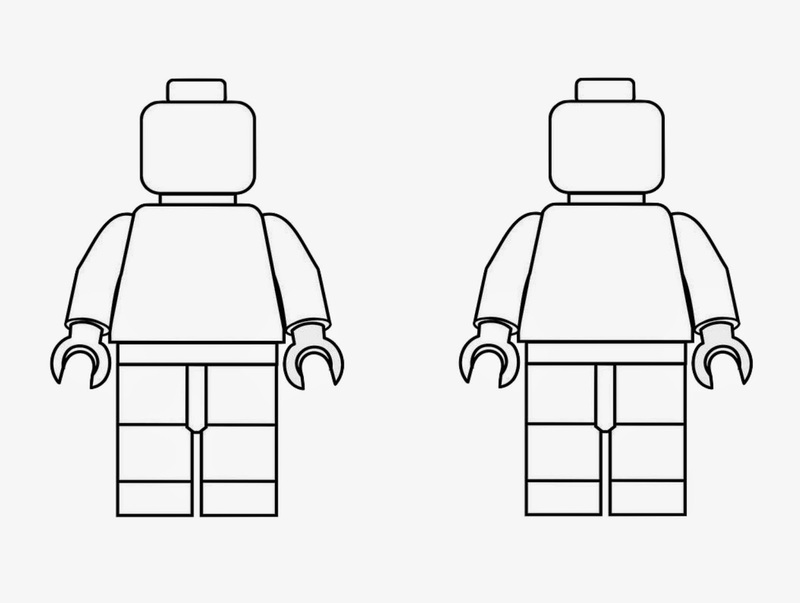 . . not just lego MEN, but also lovely lego WOMEN! Is it just me or does the "good" guy look more evil than the "bad" guy? Here are some more family portraits I did this summer. This pregnancy announcement holds a special place in my heart. 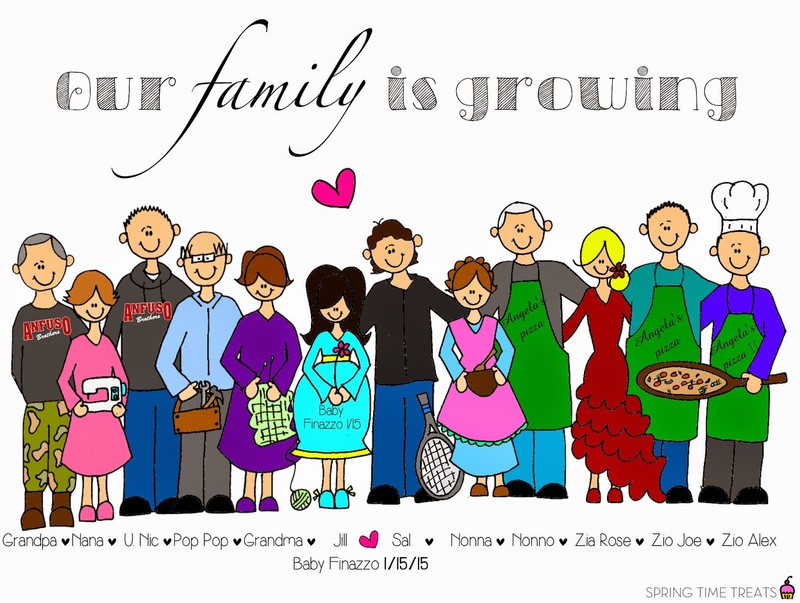 Jill found me on etsy and asked me to draw her whole family (her husbands and hers) to announce their first baby. This baby will be the first grandchild on both sides of the family, therefore making a lot of HAPPY people grandparents, great grandparents and aunts & uncles. Through our communications I loved getting to know Jill & her family. Her husband's family owns a pizza restaurant (none of this Pizza Hut stuff) and if I'm ever in their area I plan on stopping in. So happy for you Jill!! I haven't drawn a simple stick figure family in a long time, and I really loved it. Sometimes I love things more simple. Oh my oh my. It's half way through the summer and I'm finally unveiling my PIRATE summer reading chart. But hey, let's not chalk this up as pure laziness. I planned on doing it this way!! This is a remake of last year's summer reading chart. We're in full summer mode and our reading has slacked, our cleaning has slacked, our cooking dinners in the heat has slacked, okay let's be honest, my cooking is always slacking. This is the chart to motivate your little ones to get cracking on their daily reading. 1. It's a board game. Let me rephrase that, it's an awesome PIRATE board game. Rad looking huh? 2. Each square/shape counts as a day of reading. It can be 15 or 30 minutes of reading for older kids, or one book a day for younger children. 3. Mark off each day with a check mark, sticker, etc.